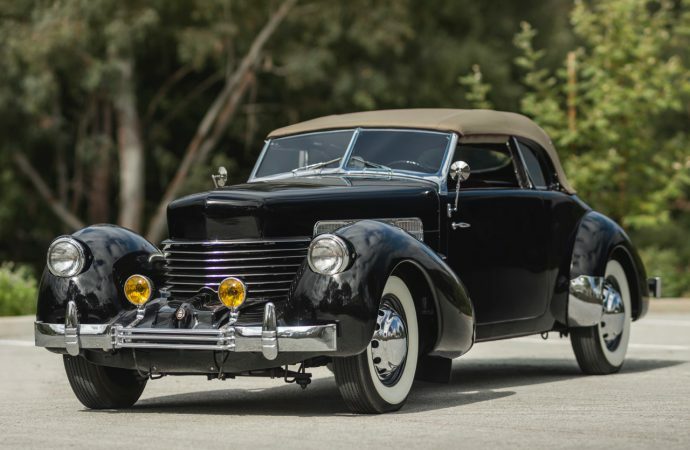 The annual collector car sale at Auburn Auction Park may get the headlines in the classic car journals, but don’t forget that it’s the Auburn Cord Duesenberg Festival. 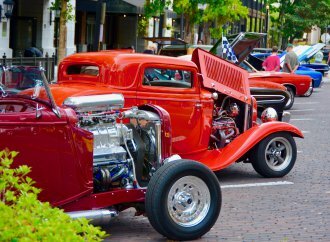 The annual collector car sale at Auburn Auction Park may get the headlines in the classic car journals, but don’t forget that it’s the Auburn Cord Duesenberg Festival that is preeminent each Labor Day weekend in northeastern Indiana. Yes, the auction is one of the oldest in the country, dating to the early 1970s, but this September the festival celebrates its 60th anniversary. 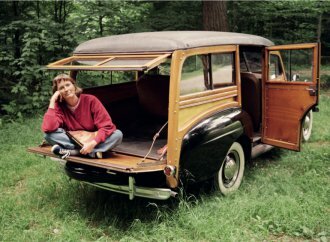 But people don’t go to the home of the Auburn Automobile Company (and later also of Cord and Duesenberg) just to show the classic vehicles produced by the ACD automakers. 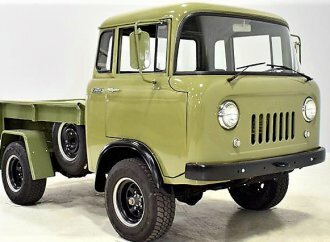 They also go to buy such cars and Auctions America has announced the completion of a docket trifecta for the September sale. “Our Auburn Fall sale is a proven venue for offering some of the world’s finest Auburns, Cords and Duesenbergs — there’s something incredibly special and exciting about offering such cars at home in the Classic Car Capital of America during the ACD Festival,” Megan Boyd, an Auctions America car specialist, said in a news release announcing the addition of a “highly original” 1937 Cord 812 Supercharged Phaeton to complete the “preservation class” trifecta for the sale. The docket already included a 1929 Auburn 8-90 Cabriolet and 1933 Duesenberg Model J Berline. 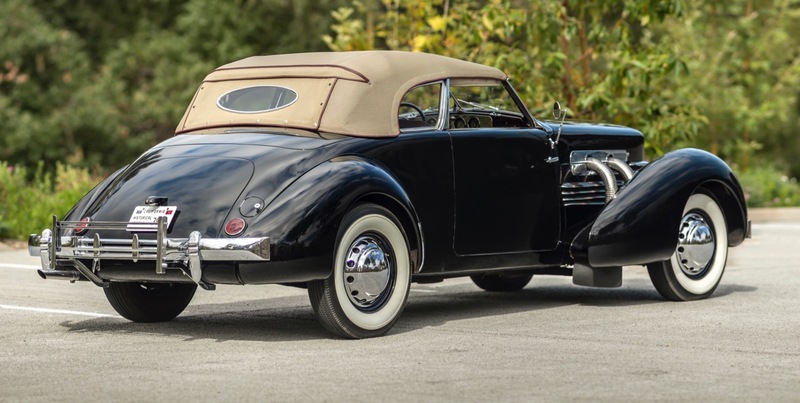 The Cord, according to Auctions America, is “a striking Gordon Buehrig design, and one of only 196 supercharged phaetons built… (and) comes to market an incredibly original example having been lovingly preserved over the past 79 years, and sporting its original engine and mostly original paint. 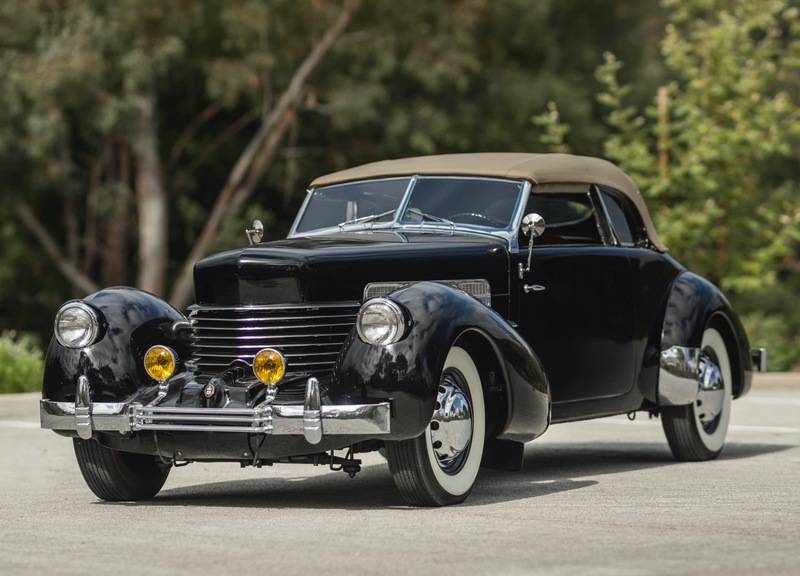 The auction house notes that the Cord was previously displayed at the ACD Museum in Auburn and has won honors at recent CCCA Grand Classic events as well as at the Del Mar and Dana Point concours and the San Marino Motor Classic. 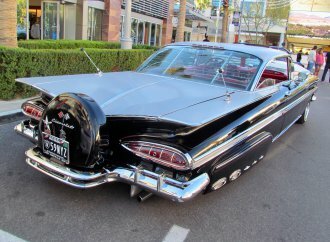 The pre-auction estimated value for the car is $250,000 to $300,000. 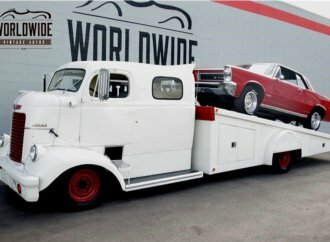 However, while the ACD cars may be the stars of the auction the docket for the sale spans the spectrum, most recently with the addition of a 1963 Chevrolet Corvette resto-mod coupe by Hoosier Jeff Haynes, who undergirded the car with a custom chassis with a C6 Corvette front and a C5 rear. Beneath the hood is a 500 horsepower LS3 V8 linked to a six-speed automatic transmission. Wheels are Corvette Z06 Spyders, front and rear bumpers are chromed. 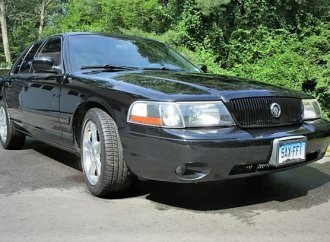 The interior features distressed red leather, custom bucket seats, air conditioning and power windows. The car even has a backup camera. Estimated value: $240,000 to $260,000. The auction docket will include more than 900 vehicles, Auction America said. Other early highlight cars include a 1969 Shelby GT500 fastback in Grabber Orange with a Super Cobra Jet Drag Pack, a recently restored 1954 Buick Skylark convertible, and a 1999 Shelby Series 1 roadster autographed by Carroll Shelby.